And with great success comes great responsibility—responsibility to keep users' accounts safe, responsibility to fight fake accounts and news, and responsibility of being transparent. 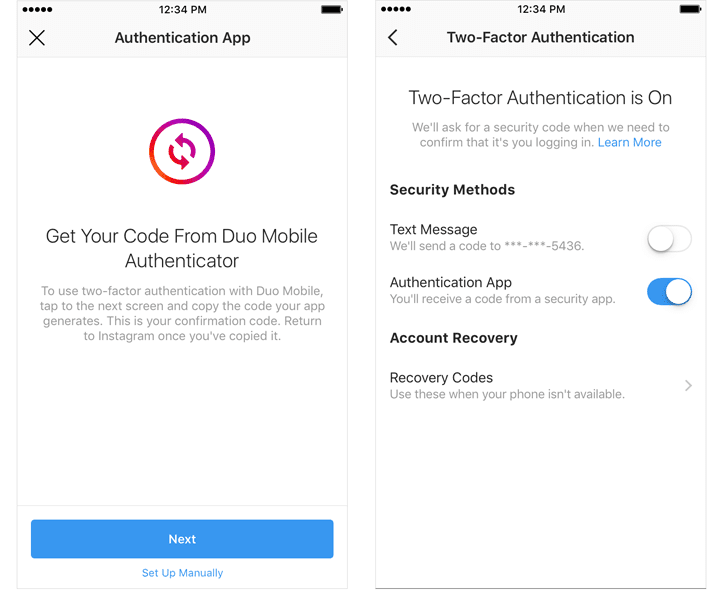 In an official blog post, titled "New Tools to Keep Instagram Safe," published by Instagram Co-Founder & CTO Mike Krieger on August 28, the company announced three features—support for Third-Party Two Factor Authenticator Apps, About This Account, and Request Verification. To enable this feature, head on to "Settings," scroll down to select "Two-Factor Authentication," and then select "Authentication App" as your preferred form of authentication. "If you already have an authentication app installed, we will automatically find the app and send a login code to it. Go to the app, retrieve the code and enter it on Instagram, and two-factor authentication will turn on automatically," the company says. "If you don't have one installed yet, we will send you to the App Store or Google Play Store to download the authenticator app of your choice. Once you've installed it, return to Instagram to continue setting up your two-factor authentication." Support for different third-party authenticator apps has started to roll out and will be widely available in the "coming weeks." 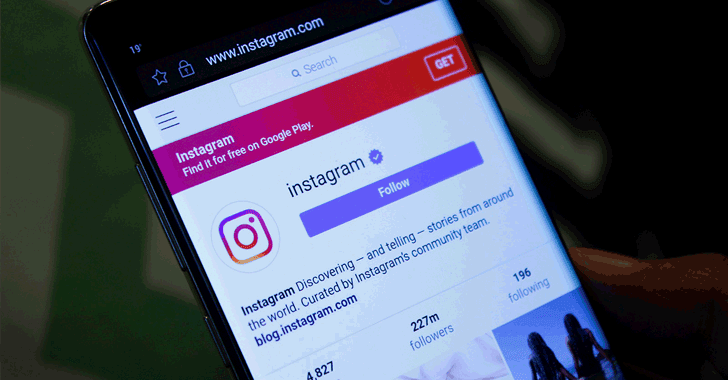 "Our community has told us that it's important to them to have a deeper understanding of accounts that reach many people on Instagram, particularly when those accounts are sharing information related to current events, political or social causes," Instagram writes. 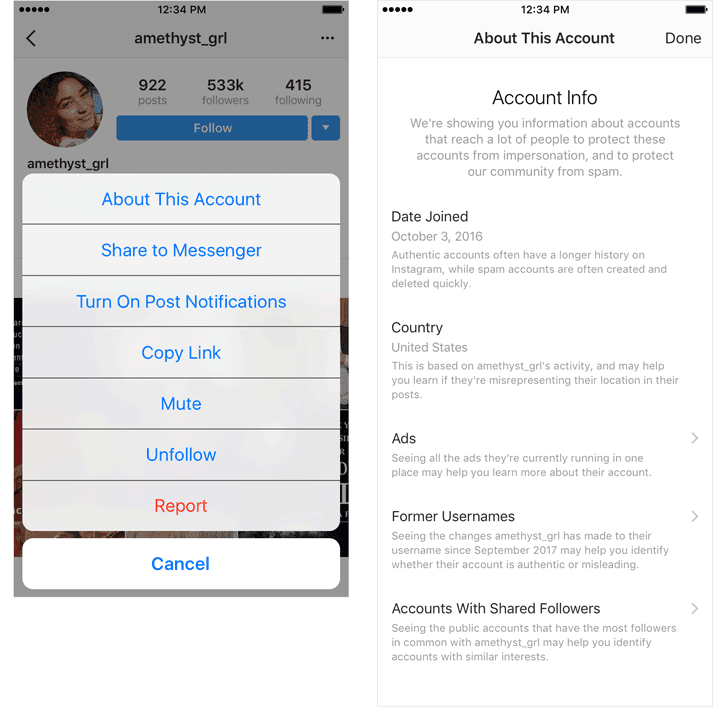 The "About This Account" is available through the menu button, and starting from September, the feature will only be available to users with larger followers, while Instagram will release it globally later on. Besides "About This Account," Instagram has also rolled out a feature that allows users to request the blue verified badge in its efforts towards transparency for large public accounts, helping users to know they interacting with a notable public figure, celebrity, global brand or entity. 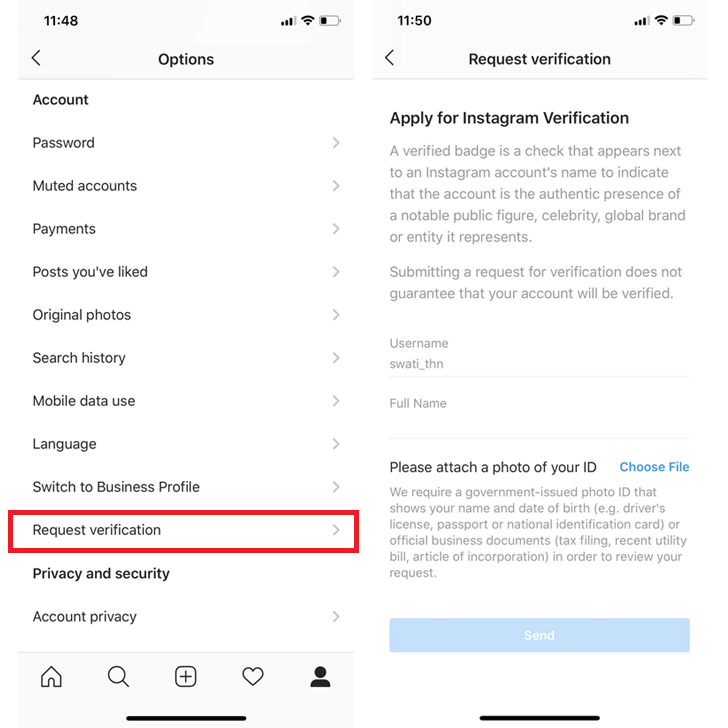 However, "Submitting a request for verification does not guarantee that your account will be verified," Instagram writes. To apply for verification, head on to "Settings," select "Request Verification" under the Account section, then type your full name, attach a copy of a legal business identification or a government-issued photo ID that shows your full name and date of birth, and hit "Send."